Aero's Quest, STEAM Greenlight, Vote YES - KABALYERO - PLAY, BLOG & EARN! Aero's Quest is now in STEAM Greenlight and it needs your votes. Hey guys, remember Aero's Quest? You know, that cool 2D platform game with lots of puzzle solving elements to it? 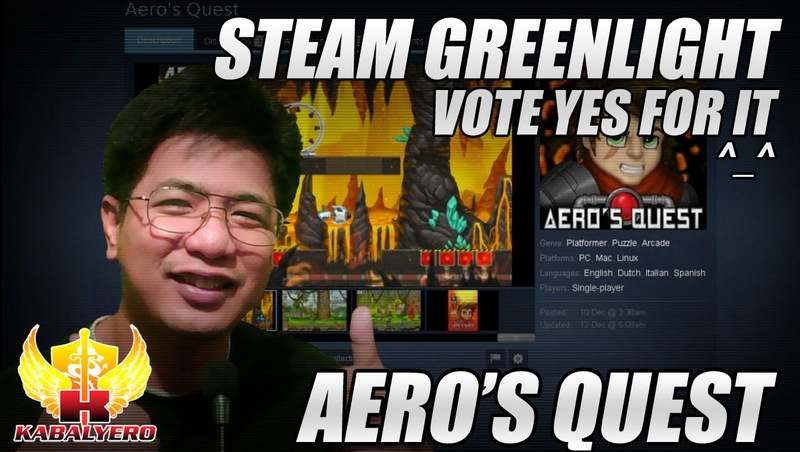 Well, Aero's Quest is now in STEAM Greenlight and it needs you guys to vote for it. If you guys don't know anything about Aero's Quest then click this link and it will take you to Aero's Quest website. You guys can also play the online version of Aero's Quest for FREE in the website. So, give a try and come back to STEAM Greenlight and vote yes to it. The link to Aero's Quest STEAM Greenlight page is, http://t.co/8xx5Cjdh3t.